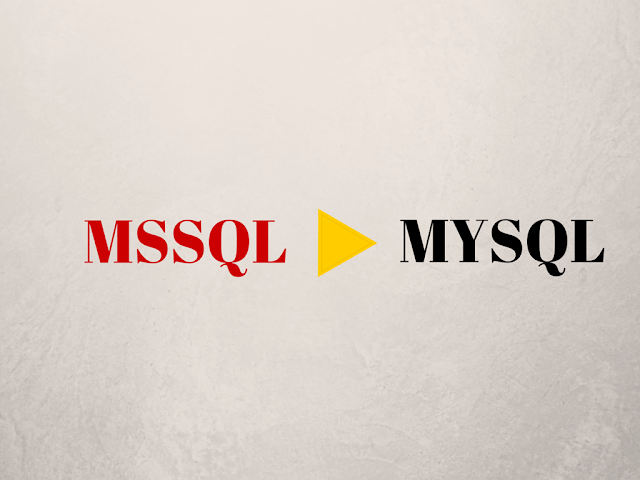 When you are migrating from the Microsoft SQL to MySQL server, the SQL queries are to be converted to MySQL syntax. Even if the SQL queries and the MySQL syntax are similar in nature, they are not completely identical. The differences between them can be identified through the Oracle ERP database management system. Now, let us go through all the differences. The conflict of the naming objects can be avoided with the help of MS SQL. The user permissions on the data access can also be managed with MS SQL. Here, the schema can be used as the logic container for differentiating the groups and the categories of the single database structure. The query using the schema can be like this %database%.%schema%.%object%. In MySQL syntax, there is no semantic query present. Therefore, the schema names can be separated from the queries. In MS SQL, the CONVERT() function can be used for translating one type of data into another type. The text data can be converted to the different sets of characters through the CONVERT () function in MySQL. A similar function CAST() is used in the queries of MySQL. Therefore all the CONVERT function of the MS SQL (%type%.%expression%) can be translated to the CAST function ( %expression% AS %type%) of the MySQL. In MS SQL, the length string expression can be measured with the LEN function. In case of MySQL, the LENGTH () function can be used in this case. This function shows the current date of the system through MS SQL. In case of MySQL, the function is just similar to the NOW () function. The function of the JOIN is almost similar in both MS SQL and MYSQL. The only difference is that the WHERE keyword in MS SQL should be replaced with NOW in MySQL. Therefore, being similar database management systems, the queries and the syntaxes of MS SQL and MySQL are slightly different. Now, as you know the process of converting the queries from one another, you can use any of them without any hindrance.